The grocery stores are getting geared up for grilling season, and Food Lion is no exception. Food Lion is our local grocery chain. It’s not just down the road, the company was started and is headquartered out of Salisbury, North Carolina. “Get Fired Up” is the theme for the 2009 backyard barbecue promotions at Food Lion which started on March 4. Every Thursday through September 3, 2009, Food Lion will draw a name weekly for a barbecue prize package. The barbeque prize package includes a Masterbuilt charcoal grill, bag of Kingsford charcoal, Kingsford tent, store brand lighter fluid, store brand grilling brush, and a $50 Food Lion gift certificate to get some meat and vegetables to go on the grill. To be entered you need to sign up the Food Lion Shopper’s Companion email which comes out weekly on Wednesday mornings. You then check your email and look for the Get Fired Up sticker logo and follow the directions for that week. Personally I like getting the grocery store emails. If I’m at work and think about stopping by to get groceries, I can glance there on email and see about specials. If you’re not keen on emails, then you can still play the Grill Game weekly at the Food Lion website. Just press the Grill Game button. You click to toss grilled hamburgers onto buns that come out from the sides of the page. If you run out of burgers, click the grill to get more. After you finish the game, you get a coupon you can print out. The coupons are grill themed of course. Either the game is not working right, or I really stink at computer games. It could be both. In any case, I think I landed some of those burgers on the bun, but my score was 0. When I got home from work, I tried again. I made 0 again. The good news is that you get the coupon even when you score 0. The one this week was for 360 cups and plates - $1.00 off. There are more coupons if you click around, and those don’t require the burger toss game. I buy the bulk of my food for grilling at Food Lion. It’s a local company, and there’s one on the way home from work – very convenient. The guys in the meat department are super helpful. They will cut meat to order and also have excellent tips if you’re trying out a new cut of meat. If you don’t have a Food Lion near your home, try checking the home page for your local grocery store. Most grocery stores start offering grill specials in March. 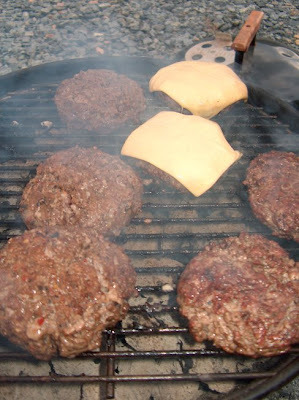 Then, be sure to visit my Yes You Can Grill page for outdoor cooking tips and recipes.